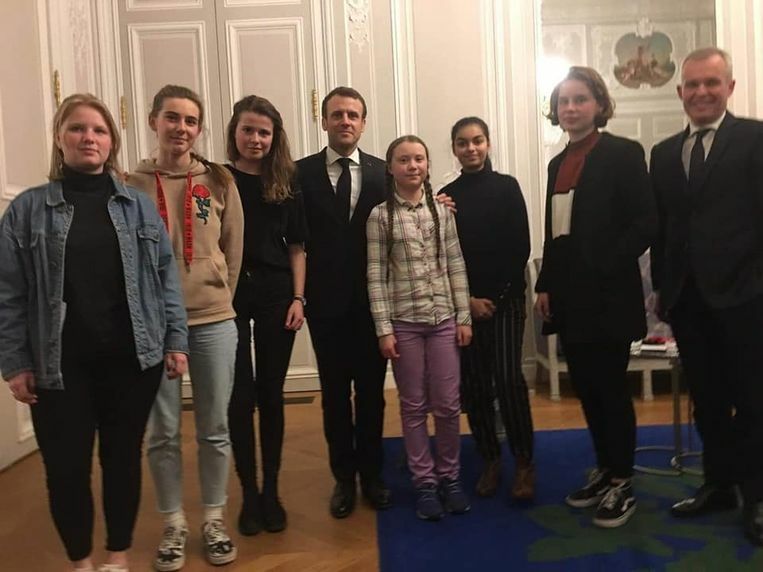 On March 15, the Day of the Popular March for Climate, tens of thousands of young people from several countries, followers of the Swedish student Greta Thunberg, showed their indignation at the indifference of world leaders towards climate change. 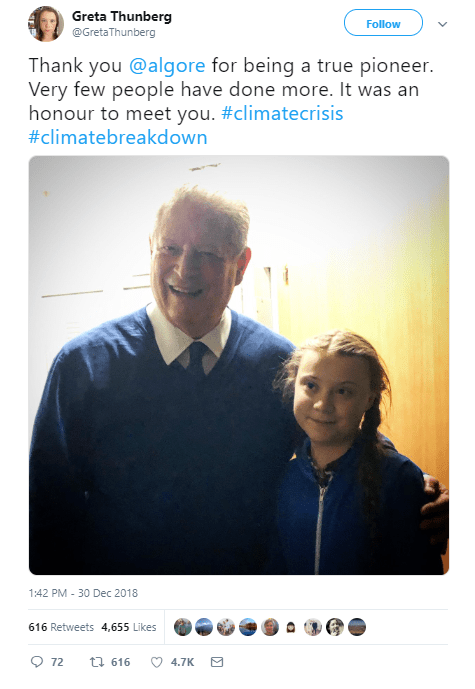 Since last August, 16-year-old Greta demonstrates every Friday before the Swedish Parliament calling for greater commitment in the fight against the alarming deterioration of the oceans and glaciers. Surprising (or not) that while environmental activists of the stature of the Honduran Berta Cáceres or the Iranian professor Kavous Emami who have been killed for their struggle against the powers that benefit from the destruction of the environment, the Swedish teenager is presented as leader of the fight to save the planet. According to Global Witness, in 2017, at least 207 environmental activists were murdered in 22 countries. A year earlier, there were another 200, eight more than in 2015. It is unknown why she, a native of one of the world’s top arms sellers, and her fans concerned about the CO2 that seeps into her lungs, have not included the “No to war” and the businesses that revolve around the arms industry in its claims to save the battered planet. It is incomprehensible that they are more afraid of breathing contaminated air, but not of the very real threat of a nuclear war that would kill billions of living beings, and cause long and hard suffering for the survivors. A year ago Trump broke the nuclear agreement with Iran , and last month he did the same with the agreement with Russia, while he ordered to invest 1.2 billion dollars to make new atomic bombs in order to “make the world safer “. In the slogans the “March” did not see any mention of the consequences of the open wars in Syria, Yemen, Iraq, Afghanistan, Sudan, Libya (which have destroyed the lives of nearly 150 million people), nor those that imperialism can start against Venezuela and Iran, or the deadly contamination of the Palestinians’ habitat, which besides being bombed almost daily by Israel, they live an ecological catastrophe: millions of their olive trees have been uprooted by the occupiers, the fields of Fruit trees and farms in Gaza have disappeared; its people breathe the asbestos of demolished houses, and untreated sewage pollutes the Mediterranean because of the destruction of infrastructure. The same “amnesia” happens with television ads, which invite us to recycle to protect the land, but silence the degree of responsibility of large companies always protected by the states, which commit 80% of the aggressions against the environment . The lack of policies on the part of the capitalist governments to avoid a greater ecological disaster is simply a policy. Greenwashing “greenwashing” or pseudoecologism is the term created to denounce makeup on the face of a system that continuously generates and reproduces the foundations of the destruction of nature. Former US Vice President Al Gore received the Nobel Peace Prize in 2017 ” for his efforts to build and disseminate on climate change “, despite the fact that the Clinton-Gore administration bombed Yugoslavia, Albania, Sudan, Afghanistan, Iraq , Haiti, Zaire, and Liberia, using all kinds of destructive munitions including projectiles that contained depleted uranium, causing the death of tens of thousands of civilians and causing irreparable damage to their lands, airs, and waters. He was also one of the promoters of the campaign to expand raw material for biofuel, trying to convert the pancakes of the poorest Mexicans into ethanol from the cars of the well off. It was the fear of the rebellion of millions of hungry people who filed away, in part, this occurrence. Years later, in September 2014 and on the eve of the UN Climate Summit, Wall Street bankers paid about $ 220,000 to announce the march organized by companies like Avaaz and 300 other organizations against the New York subway. the pollution of the planet. 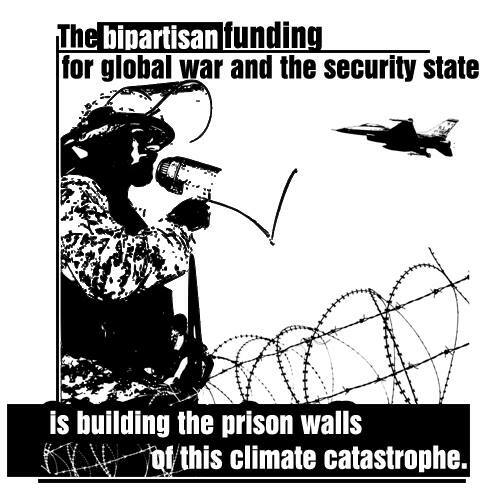 The participation of the World Bank or the Clinton Global Initiative in these initiatives, rather than being due to the “mainstreaming” of the environmental movement, is to take control of it, as well as a marketing operation to “whitewash” the most predatory elites without scruples of the world, the same that presents, for example, to NATO as the sister of charity : if you download tons of bombs on defenseless nations it is because the arms industry goes out of its way for the well-being of the Sudanese lord,the Afghan lady . The movement for “climate justice” is a very profitable capitalist business line that turns the sensible struggle of people worried about the agony of our planet into a commodity, creating the illusion that the manufacturers of cluster bombs or white phosphorus are going to give up their benefits, at the stroke of “signatures” or demonstrations with music and dance. One of the examples of the trickery of capitalism is, for example, that 1) the stock markets lower the price of carbon in order to sell the largest amount, 2) the banks do not exclude the most polluting companies from their offers of credits, and 3) governments give incentives to this sector to reduce their polluting emissions. The business of “Saving the Earth” is very all-encompassing. It is said that the army of ancient Rome, to ensure the present and future capitulation of its enemies, covered the surface of its arable land of salt; Centuries later, we have witnessed how US aviation sprayed the forests and crops of Vietnam with 20 million gallons of Agent Naranja herbicide (produced by Monsanto). Today, 44 years later, there are 500,000 blind children, without limbs and with other serious malformations. A few years before, Harry Truman’s atomic bombs turned Hiroshima, Nagasaki and 240,000 of his neighbors into ashes. In “response” to the fire of 736 Kuwaiti oil wells by Iraqi troops, Anglo-American forces bombed Iraq’s refineries and oil fields that burned for months, producing millions of tons of carbon dioxide, sulfur, mercury, which produced rain Acid on a large surface removed vegetation and animals. 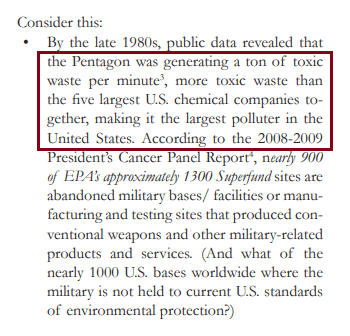 The use of 320 tons of depleted uranium by the US, which killed thousands of people, produced strange diseases and malformations in babies born later, in addition to polluting hectares of cultivated land. Tens of thousands of birds died, some by drowning in oil spilled in the waters of the Persian Gulf, and others by falling water temperature, creating a toxic micro-layer on its surface. In 2015, Iraq experienced the highest temperature in the world, because of the destruction in the vegetation cover and the reduction of the water surface. The severe dust storms that are born in this country and spread throughout the area, cause conditions that kill hundreds of people each year. Fishermen and Iraqi kids who bathe in the Tigris River still find bodies in their waters. In Yemen, the “non-televised” bombing of the US-Saudi-led coalition and the planned destruction of crops, farms, and their infrastructure, including wastewater treatment plants and hospitals, has caused the most brutal humanitarian crisis of the world, and an epidemic of cholera that has killed thousands of people, leaving half a million more seriously ill. In Myanmar, the army uses the “scorched earth” tactic against the Rohinya, burning their homes and crops, in order to make it impossible for the victims to return to their homes. In Sudan, the war has caused the elimination of thousands of animals, hunted to feed the armed men. In the Democratic Republic of the Congo, the population of white rhinos, an endangered species, was reduced to 31 in 1996 because of the conflict; 5,000 elephants disappeared, as well as half of the hippos. 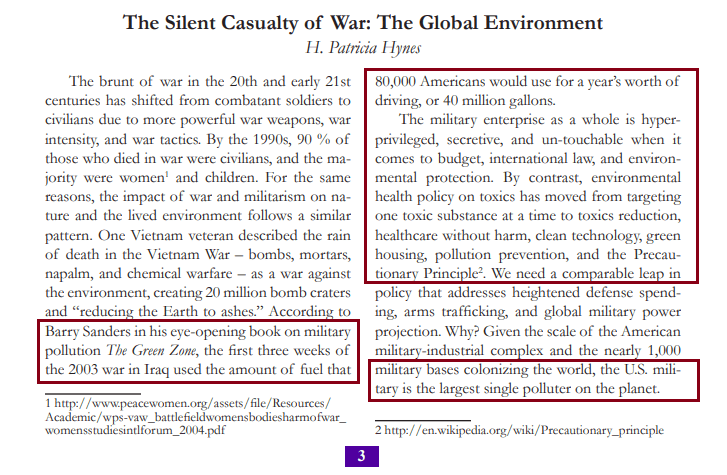 With a few open wars in the Middle East, and the US threat to provoke others to seize the natural resources of other peoples, the environmental movement must strengthen the weak movement for peace , and include the reduction of military spending in one of its main demands. We need you to support critical voices. 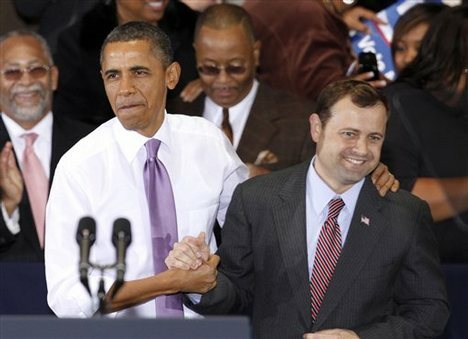 Image: U.S. President Barack Obama with Avaaz co-founder and former U.S. Representative Tom Perriello. In the 2012 winter issue of ‘Democracy Journal’ Avaaz Co-founder and former U.S. Representative Tom Perriello penned a grotesque and delusional article (below) titled “Humanitarian Intervention: Recognizing When, and Why, It Can Succeed”. The views within the article are a complete reflection and validation of the U.S. administration’s rhetoric intended to justify the annihilation and occupation of sovereign states under the false pretense of “humanitarian intervention” and “responsibility to protect”. Make no mistake, this is the ideology of the world’s most powerful NGO, that of Avaaz, and the matrix of NGOs within the non-profit industrial complex. Next week we will begin publication of our investigative report on Avaaz, the Avaaz co-founders, the Avaaz corporate media partners, the Avaaz strategy, and finally, the role Avaaz played in the NATO-led annihilation of Libya, which, prior to the strategically planned and unprovoked invasion by Imperialist states, held the highest standard of living in Africa. This slaughter has left as many as 150,000 Libyans dead. NGOs must be held accountable for paving the way for these crimes against humanity. The use of force always entails grave dangers and human costs, and progressives have been leery particularly since the Vietnam era of supporting it, even to prevent or end mass atrocities, repression, and other systematic human suffering. Wise leaders will always remain wary of war. But wisdom also requires us to acknowledge two dramatic changes in our ability to use force for good. First, in a single generation, our ability to intervene without heavy casualties has improved dramatically. Second, the range of diplomatic and legal tools for legitimizing such interventions has likewise expanded. During this same period, we have been reminded tragically of the real and staggering human cost of inaction, most notably in the 800,000 lives lost in Rwanda. The tendency to feel less moral responsibility for the results of inaction and to overvalue the risks of acting in difficult situations is natural, but it is ultimately indefensible.